While scandal-plagued across the ocean, News Corporation is making moves Stateside and could launch Fox’s own national sports network by the end of the year, Bloomberg reports. The company might choose to convert its extreme-sports channel Fuel into a more general interest ESPN competitor, and is currently looking into acquiring rights from pay-TV carriers (with DirecTV reportedly already onboard) and sports organizations. 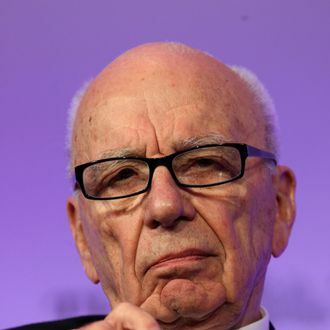 Although 81-year-old News Corp. CEO Rupert Murdoch has a soft spot for newspapers (hence all the prolonged trouble in Britain), his children and deputies have long been said to prefer the more profitable realm of television. And what 24-hour sports coverage really needs is more fairness, balance, and Tim Tebow.